Amigapd would like to thank Federico for for taking time to answer some questions about his wonderful Graphic Adventure games for the Amiga; Lord of Alcandria 2 and Lord of Alcandria 3. 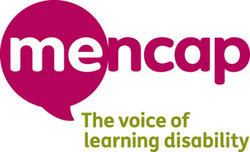 You can find out more about Frederico's current programming projects at his website. 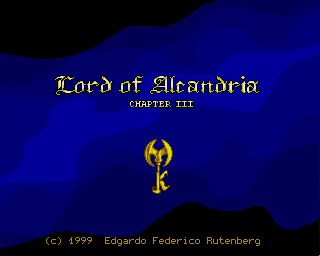 Lord of Alcandria 3 - Federico Ruttenberg - image from Lemon Amiga website. How did you come up with the name "Lord of Alcandria" and the stories for the games? Been a while since I created this story so I 'll try to remember the main part. In the beginning, Krislow (Lord of Alcandria) and Hellock (Lord of Alcandira) were brothers. Hellock had a great ambition to dominate the two kingdoms but he knew even joining all his forces he could never defeat his brother so he divised a cunning plan. He spent years learning the arts of necromancy and created a great army of animated corpses and sent them anonymously to attack Alcandrai. In this battle Hellock fought together with Krslow but at the most critical moment of the battle, Hellock stabbed his brother in the back and evilness dominated the kingdoms. Many years later the giant defenders used their last powers to resurrect Krislow but for a couple of letters mistook the name and resurrect the young Krilok Rainwood. And so begins Chapter 2. What was the inspiration for the Lead Character? How lond did each game take to make? One year for chapter 2, and another year of work for chapter 3. Did you try to get the games released by a commercial software house? No. It was not my intention. What development tools did you use to create the games? For the coding I have used G.R.A.A.C. Deluxe paint for the graphics. And Octamed for the music. Did Lord of Alcandria Chapter 1 ever get started? I have worked with amiga company Darkage Software, in a graphic adventure game but this game was never completed..
What did you enjoy most about writing the Alcandria games? I enjoyed working with the Amiga computer and giving life to a world I had created myself was one of the greatest pleasures that a game developer can have. What caused you the most frustations when writing the Alcandria games? The time. You want to see the game finished soon but it takes much time and work. Are you still involved in the computer industry and if so are there any projects you are currently working on you would like to share with our readers? Yes, I am the developer of many free online games series, like Esklavos, The Ballad of Ketinetto, Doctor Ku, Treasure of Big Totem and more. My website is www.esklavos.com. Lord of Alcandria 2 and its sequel Lord of Alcandria 3 can be download from Aminet. Link for Lord of Alcandria 3. AmigaPd would like to thank Federico Rutenberg for answering the questions and wish him all the best with his current projects.